Amol Mehra, one of our Board of Directors wrote about his recent journey from an incredible four days with Kate Francis, the Senior Advisor to GooodWeave International, in Nepal. 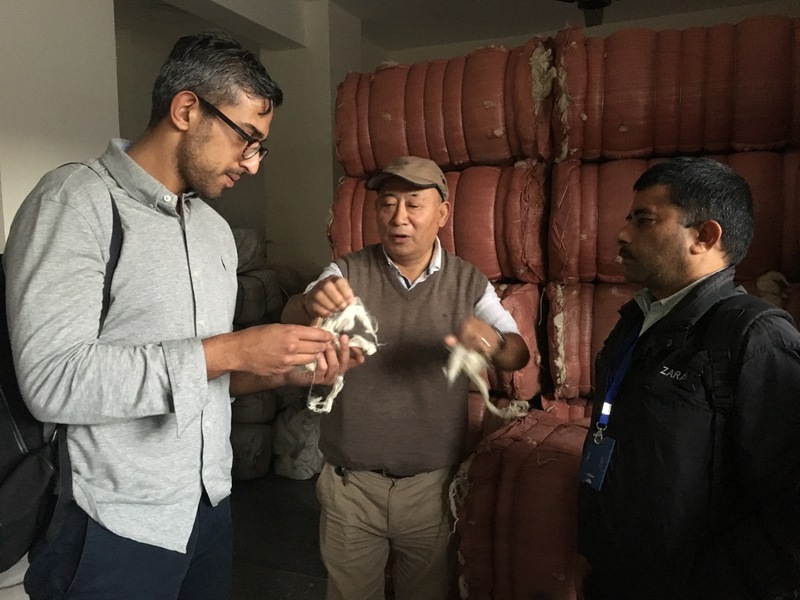 Here, he shares how profound the experience was to meet with the GoodWeave Nepal staff, tour licensee factories and even to see an unlicensed factory where children were toiling away right in front of their eyes. The staff that we met with at GoodWeave Nepal could not have been more kind, patient and committed to the work they are doing. From the inspectors to the head of the transit home, there was a deep pride in being affiliated with GoodWeave International, even as they juggle a tricky situation with GoodWeave Nepal. It was inspiring to see their resilience and dedication. They are weathering the storm and looking forward to clear skies ahead. These visits were perhaps my most treasured. We visited a school supported by GoodWeave with over 90 children. The children seemed so happy even with the incredible struggles they have been confronting. Their smiles and chants of “NAMASTE!” as we walked through their classes will remain with me. It’s incredible to see how directly the work GoodWeave is doing is impacting their lives. The transit home was equally profound. The students were furiously working away on their lessons and seemed grateful to have a sanctuary of calm to learn, grow and live. The staff that ran the center were top notch and had such a postive relationship with the kids. The National Dialogue made clear to me how GoodWeave International is positioned in Nepal as a key driver of reforms on child labor. Every single participant referenced the good work of GoodWeave International, including the Labor Minister. Kate spoke eloquently of GoodWeave’s work and Sulo, an character in her own right and owner of Formation Carpets (a GoodWeave licensee), detailed her commitment to the cause and her appreciation for GoodWeave International. Ultimately, I leave this week feeling much hope and pride. Hope that this work will put an end to child labor and give kids a chance to live fully realized lives. Pride in that I am affiliated with an organization that is really making a difference – and at scale. I hope you all will have a chance to experience GoodWeave in action, to meet the local staff and to hear for yourselves the melody of “NAMASTE!” from smiling children. Thanks a million to the GoodWeave staff for the work that you do. I’m more committed to your success than ever.